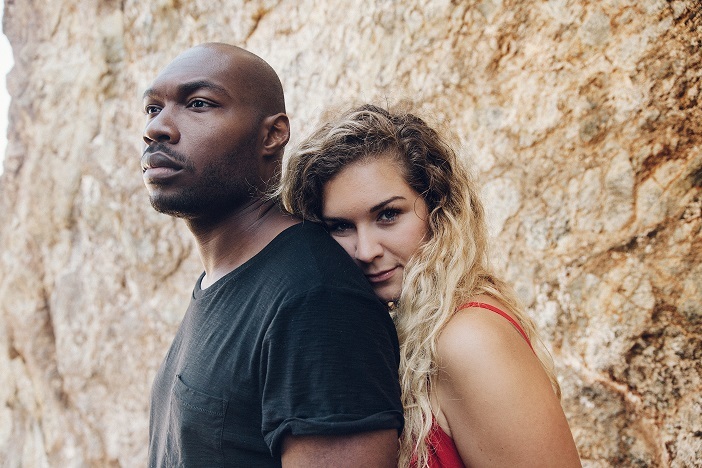 Influential Power Couple and Social Media Agency Owners, Ambar Januel and CJ Johnson of Januel + Johnson, create Tech Forward website amidst their inauguration into the class of Google Next Gen (NG) Policy leaders. The entire site is meant to read as a story, whether you are on the agency page or the blog, says J +J. Influential Power Couple and Creative Agency, Januel + Johnson http://www.janueljohnson.com, have embarked on a tech forward venture, fusing the worlds of digital marketing and content into a class, just as unique as the products they push out. Overflowing with innovation and always on the forefront of original marketing concepts, Ambar Januel and CJ Johnson have redeveloped their website, showcasing their signature for the world to see. As visionaries, Januel + Johnson take tremendous pride in its creativity, encouraging a platform for people to share their voices of positivity and peace. With the uncertainty of today's climate, J+J, are especially driven to promote messaging that contributes to the betterment of life. "The website is very modern and unique, and we wanted to create something that is visually stimulating in a way that allows you to enjoy the imagery and the content without being overly loaded. The entire site is meant to read as a story, whether you are on the agency page or the blog," says J +J. It is no wonder this dynamic duo has been inaugurated into the class of Google Next Gen (NG) Policy leaders. As NG Leaders, they are part of a select group of individuals who carry strong voices in civil rights and racial justice, policy and advocacy, entrepreneurship and media. They represent cutting-edge and innovative thinking in their respective fields, helping to be stronger community partners. Januel+Johnson has been called to join ventures with Google Next-Gen Policy Leaders to organize the world’s information so that it can be useful for everyone. About Januel+Johnson: J+J is the voice of the next generation and one-stop shop for creative marketing. Listed as one of the top 50 agencies in Los Angeles, CA, J+J empowers the brands they work with, integrating innovative steps and tools needed to conquer the world. In this fast paced world, J+J stands on the front lines of the Silicon Beach movement, bridging the worlds of entrepreneurship and creativity, all the while utilizing the power of social influence to get their message across. J+J creates contemporary strategies executed from concept through creation, with each uniquely packaged.